Today marks the half-way point in the 2018 part of the 2018-2019 school year. It has been a very busy 7.5 weeks and as you can see from the attached list of events, the calendar may be even more full in the next 7.5 weeks. In particular, we have two of our “traditions” coming up in November. The first one takes place next Thursday as we welcome (back) Craig Kielburger from Me To We for the next installment of our “Speaker Series”. Kielburger was one of the first speakers that our Grades 8 to 12 students heard and because of his infectious enthusiasm on that day, groups like the Take Action Group and Leaders For Change were born. High school students have joined Me To We projects in South America, India, and Africa since then and students from Grade 5 and up get re-inspired by Me To We at their annual “We Day” every fall. Any parent is welcome to come to the presentation Thursday, November 1 at 10:00 AM. If you are attending, please inform your campus office so we will have enough guest chairs available. No ticket is required and the lecture is free but a freewill donation can be made to “Me To We” that morning by parents. The second tradition is Speech Night. At one time, we had every student in every grade present their speech on the same night but we split the nights up now. The high school students of TEAM (TSS) will start things off with their night on Tuesday (the 30th) next week, followed by their Mentor counterparts on Thursday (the 1st). Students from JK to Grade 8 have their speech night in the last two weeks before the March Break. Speech Night provides a formal opportunity for our students to research, write, and present in front of their peers and parents and (despite what they may have thought a few years earlier) it is almost always mentioned by our graduates as one of the most important skills they learned while at Mentor/TEAM. Please apply these events to your calendar and we hope to see you at one or more of them in November! This entry was posted in Mentor/TEAM Events on October 25, 2018 by Mentor College / TEAM School. One of the jobs I have at the end of November each year is to prepare all of the registration documentation for the following school year. Because the first round of 2017-2018 registrations go out on January 2nd (for current Mentor JK to Grade 7 students), we need to have the school holidays set before we leave for our Winter Break. The Ministry of Education sets the holidays three years in advance and we follow their lead with regard to when the Winter and March Breaks will be. 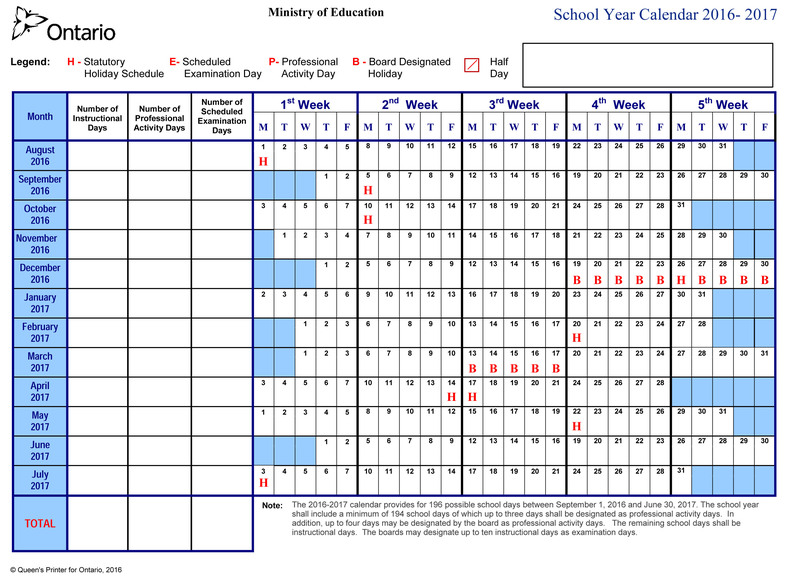 Setting the holidays should be easy for everyone based on that but this year, public education boards started thinking out loud in the early part of this year that they would like to finish one week later in December and then return to classes January 9th. The “catch” is that Boards need to pre-obtain permission to go against the Ministry guidelines but when they released their list of holidays, there was an asterisk saying “pending Ministry approval”. Even if we had a way of knowing when the Ministry would approve the dates, it was already 4 months since we set our holidays and 2 months after we had given those dates to our families in the registration packages. I cannot understand how the Boards would not know three years ago (let alone two years ago or even 12 months in advance) what they wanted to do or why the Ministry would create holidays that their Boards would not want but I guess that is why I am (glad to be) in the private system! I have spoken to many teachers, students, and parents who are part of the public boards and have yet to hear anyone say that they are excited to spend an extra week in classes with excitable students during December. When I walked through the Primary Campus front lobby this morning, there was an appreciable increase in the decibel level of the kids just because the holiday decorations were up so I know this will only increase throughout the month of December. The parents in the public school system are very jealous that we are going to be back in school on January 2nd. My personal experience with kids and the winter holidays is that after New Year’s Day, children are ready for the routine of a school day again because the excitement of new holiday gifts has worn off (eg: a week after dropping a few hundred dollars on the latest video gaming system, we just love to hear “We’re bored…there’s nothing to do”!). More importantly, parents need to get some semblance of normalcy as soon after the holiday as well. This entry was posted in Holidays, Mentor/TEAM Events on November 30, 2016 by Mentor College / TEAM School.